Eating candy, dressing up in costumes, and pranking neighbors may already be on the daily agendas of some students, but Halloween is a special time for creativity and mischief. Some students still dress up for trick-or-treat, while others join younger siblings and cousins, but refrain from dressing up for the occasion. Freshman social work major Krista Caruth plans to dress up as Harley Quinn of the Batmancomic books, and she is creating her own, more conservative version of the character. Freshman intervention specialist education major Alyssa Woods also has a unique costume with a tricky twist; she is going as a pile of leaves. “I [want to] hide out in of piles of leaves and jump out at people while wearing my leaf costume,” Woods said. Some of the most popular costumes for Halloween 2014 are predictably inspired by hit movies and television shows from the year. One can expect to see friends and family dressed as characters from Frozen, Game of Thrones, The Hunger Games, Teenage Mutant Ninja Turtles, Spiderman, and other superhero movies. Frozen stands firm as the number one choice for children and adults alike; Elsas, Annas, Olafs and Svens are sure to be knocking on doors in both neighborhoods and dorm buildings. Trick-or-treating, of course, is the main event of Halloween, and many students will be participating—some costumed and others not—alongside younger siblings and family members this year. 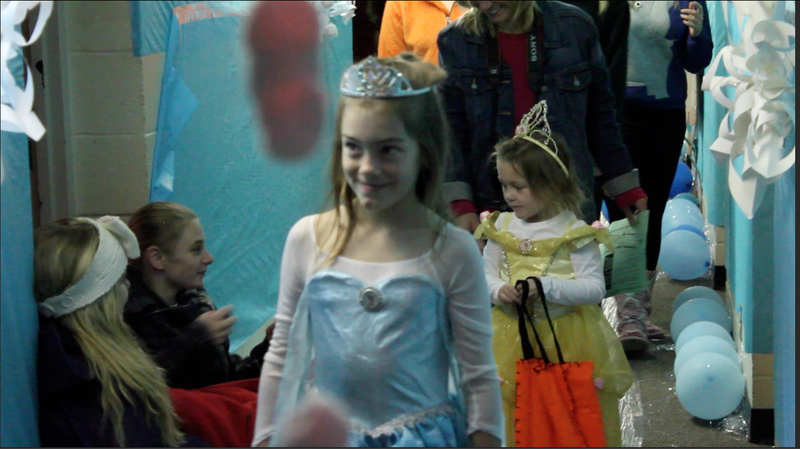 Some pass down traditions and tricks for getting treats to the young sugar-seekers. Cathy Weyand is a contributing writer for The Aviso AVW.